Uniquely designed to your lifestyle, Lancaster Painters Australia luxurious designer finishes Adelaide are sure to add a touch of sophistication to any home or business. Being masters of faux (fake) finishes, we are able to replicate any finish or texture and apply them to almost any surface you can imagine! Be inspired by our range of contemporary & modern finishes, traditional & modern heritage finishes, decorative finishes, wallpaper hanging, furniture finishes, specialty finishes, artistic finishes and so much more. Contemporary finishes include faux (fake) metal, stone, marble, precious stones and wood finishes, burnished wood, gilding, Chinoiserie, rust, 2-D and 3-D art, Modern Renaissance, Italian and French finishes, Venetian plaster, limewash, imitation animal skin, furniture finishes, painted sky ceilings, contemporary wallpaper, painted and stenciled glass, encaustic painting and so much more. See More. Exquisite hand painted furniture finishes include Shabby Chic, wood graining, marbling, staining, French polishing, distressing, motifs, designs, stencils, gold leaf, artwork, Aged Petina, Black Japan, marquetry, hand painted Armoires & Boiseries and so much more. 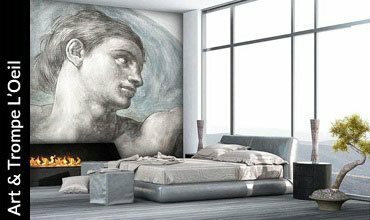 Beautiful hand painted artistic finishes include fine art, contemporary and heritage art, frescoes, landscapes, portraits, realism, glass art, 2D and 3D art, murals, Trompe L’oeil, motifs, designs, Chinoiserie, Art Nouveau, painted sky ceilings and so much more. More Art. 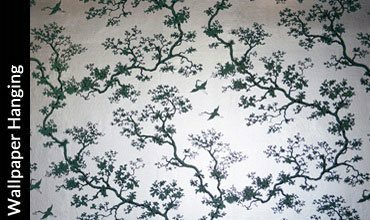 We provide a professional wallpaper installation service for all types of wallpaper including flocks, silk, foils, vinyls, paper, fabrics, lincrusta, anaglypta, wallpaper murals, friezes, borders, front runners, scenic French wallpaper, hand painted wallpaper etc. See more. 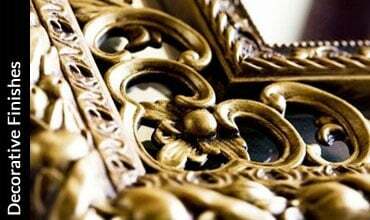 Our hand painted decorative finishes include faux (fake) marble (marbling), wood graining, gilding (incl. gold leaf, silver leaf etc. ), decorative ceiling roses and cornices, stencils, motifs, designs, Chinoiserie, sponging, ragging and more. More Decorative Finishes. Our unique specialty finishes include Porters Paints finishes, hand painted signage, tile, floor, blind, broom and corkboard painting, hand painted mosaics, gilding, aged patina and micaceous finishes, glass painting, painted sky ceilings, decorative air vents and 3-D art including Trompe L’Oeil murals. More Specialty Finishes. Heritage finishes boast Decorative Arts Finishes, Gothic and Pugin designs, Victorian, Federation, Georgian, Edwardian, Queen Anne, Art Deco, Artistic finishes, Modern finishes and more. More Heritage Finishes. Beautiful Porters Paints traditional and modern finishes include: Fresco, Milk Paint, Distemper, Lime Wash, French Wash, Liquid Iron, Wood Wash, Patina Green, Instant Rust, Duchess Satin, Liquid Copper, Concrete Wash, Chalk Board Paint, Crackle Medium, Porters Eggshell Acrylic, Low Sheen Acrylic Paint, Ultra Flat Acrylic Paint and so much more. More Porters Paints Finishes. Washes or Colour Wash is a free-form finish that creates subtle variations of colour using multiple hues of glaze blended together with a paint brush. European washes include French Wash, Lime Wash, Porters Paints washes, distemper etc. More Washes. And there’s more! 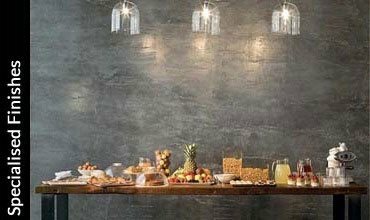 Our designer finishes Adelaide include bello Italian finishes, Venetian plaster, chic French finishes, Renaissance finishes, extraordinary finishes, metal & rust finishes, Chinoiserie, glass art and miscellaneous finishes.